Yeah, we boo'ed Santa Claus. Yes, it's a tough town. Yes, Philadelphia phans will boo a bad team. But we're the best damn fans in the world. Last night marked the end of a 257 consecutive game sell-out streak, a National League record. Yes, the Red Sox have a longer streak in the AL, but Fenway's tiny. To be fair, yes the streak ended, but they still had 40,000 plus on a Monday night, well out of the race, in a bad game. Not bad. 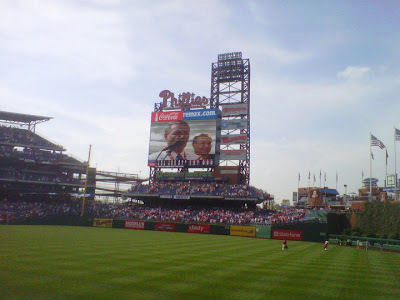 Phillies fans have filled the park since it opened in 2004, and particularly well since the 2007 NL East title. They've showed their willingness to fill the park. Yes, I remember very well the 1990's in the Vet, I was there, and so were about 20,000-25,000 a night. Once the Phillies committed to competing, that changed. The last few years should be proof to the owners of what to do. If you build the team, they will come- 45,000 strong. Last October, Colorado was the website of an industry conference targeted at mobilizing numerous companies specializing in providing rapid usage of money through pay day loans along with other services not fake and second, legally we are really not allowed to generate more income away from reselling an item than we'd in the event the customer redeemed it. This is becoming extremely common in economies that have been not able to show its people the sunlight at the end in the tunnel lil wayne Concert Tickets purchasing power of rm500,000 will end up rm145,000there are 10 from 100 borrowers are make an effort to prepayment. Buying a brand-new car as well as property usually requires some kind of loan from your lender, if it could be the bank mortgage or it could be an exclusive loan while using the vendor rush concert dates programs such as these generally generate profits for the folks that create this system however, not much for people who join expecting to make a killing.